With the Rebels loss last night the Brumbies suddenly might have something to play for. 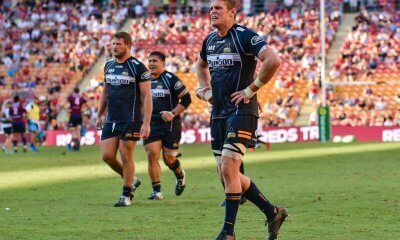 The Chiefs have stumbled on occasion this year but the Brumbies can’t just hope this is one of those games, they need to take their chances and not wait for a stumble. The Brumbies started poorly. They spent the first quarter of the match grimly holding on and turning any possession back over to the Chiefs so that they could run it back at them. Still, at 3-0 they were still well in the game on the scoreboard if not on the field. All that changed in minutes as the Chiefs ran in two smashing tries in ten minutes to stretch the lead out to 17-0. Damien McKenzie the stand out in general play and especially the second try. 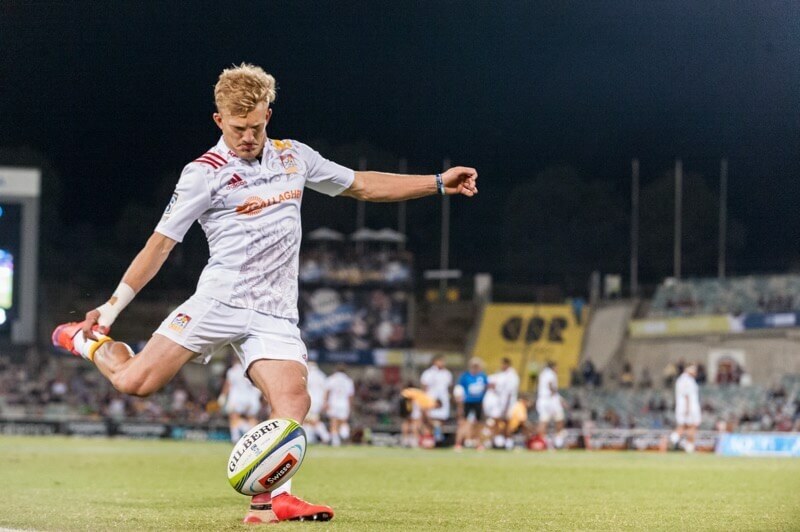 After making the initial break off yet another Brumbies turnover, he got back up for a brilliant second effort to score to the left of the posts. With the halftime siren sounding he is the standout leader in the race for the coveted GAGR MOTM award. 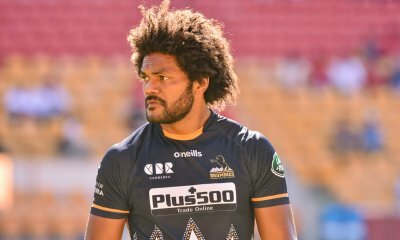 The Brumbies played with more intent in the second half scoring a well-deserved try to Henry Speight and were hard on attack, looking for their second when Damien McKenzie (yeah that guy again!) intercepted the try scoring pass and sprinted off down the field. Only the chase from Tom Banks, one of the few players who could match him for pace, stopped a certain try. But it only slowed the inevitably and the Chiefs scored a couple of phases later. Damien McKenzie’s intercept was enough to tip the game in the Chiefs favour. If that pass had gone to hand the Brumbies score five points instead the Chiefs got seven. that was enough to change the result. Damien McKenzie. No one else was close. Tevita Kuridrani put his hand up for Samu Kerevi’s 13 jersey. Joe Powell looked slow and the Brumbies went better when Lucas came on. But that often happens with reserve halfbacks. Still not sure how a Try or Foul play can reset the yellow card warning for repeated infringements. Then there’s the idiocy not to check the penultimate play with a replay that would have been faster than packing the scrum. Yeah, check the last one for cynical play. The kind the chiefs avoided getting yellowed for. I’m really not sure how it does either, but it seems to do it for a lot of referees. Sometimes I think the thinking is “the warning is about continuous pressure, but that’s been released by the try” which might make some sense on some occasions although it doesn’t for foul play. Agreed, same as last week Reds v Blues. He gave the Chiefs a warning then they gave away a penalty immediately and Speight score under advantage…. should still be a YC. A couple of refs have called it that way this year but again it’s the hopeless inconsistency that frustrates the most. Thanks for the write up Sully. It’s a pity the brumbies weren’t playing like that all season (or match). Pretty rough to lose on a ref error but I guess that’s why you don’t leave it so late to challenge the opposition. While Wayne Bennett has had a closer relationship with professional rugby than I have, for a lot longer, I don’t think he’s as experienced in losing. An Australian rugby fan in 2018 will claim anything as a victory, especially if we score more points. Powell came up with some costly errors. The replays were very slow to come up on Sky NZ when Chiefs players infringed or could be investigated. Super Rugby backrows are passive towards McKenzie he got absolutely monstered by the Lions playing for the Maori and Chiefs by putting pressure on him and not ball watch. He starts making errors constantly when he gets hammered. Agreed Bakkies, and he tends to get a case of the Kurtley’s and starts to run sideways when the pressure is on. Sully, Henry Speight crossed the chalk twice. One after a brace of very quick hands by Rory Arnold and Allan Ala’alatoa, and the other a bit of vintage Speight second receiver off a lineout and beat two or three defenders to dot down under the posts. Being down 17 – 0 in the first half, it was a very impressive performance after the half time break. Three tries apiece is not too shabby against the Chiefs at home. Tom Banks had another top notch game and his chase on McKenzie was very impressive. Powell got hit hard early in the game and I think was suffering for the rest of the match. Possibly wouldn’t have passed the HIA had he been checked. I have to mention again that the NZ sides are illegally targeting Pocock with the express intention of taking him out of the game. Yesterday it was a shoulder charge to his head while lying on the ground out of the ruck. Should have been a YC for the clean out (tackle without the ball) on a player on the ground, upgraded to a RC for the shoulder to the head. When will the officials and administrators do something to stop these foul play acts? Perhaps ‘Poey’ should stop playing the ball on the deck. Aha. Difference is that McCaw nearly always won so there was never much to whinge and moan about. So was Pocok in the ruck? I haven’t seen the game yet. People are still whinging after he’s retired. Maybe, but in this instance, Pocock was not part of the ruck but was lying on the ground some little distance away. And if I’m not mistaken, the ruck had finished anyway and the ball was already at least a pass along the line. It had the appearance of a pre-meditated move designed to inflict injury. Malicious play by a foul player. So are you implying that if you think an opposition player is doing something illegal then they’re fair game for foul play? You’re comments are usually more substantial than this with at least an explanation into how you viewed the incident in question. I actually think Rasta is a good ref but that was just not good enough from the officials. Key moment of the game they decide not to use the technology when it’s right in front of their face. Would have taken 2 seconds to see the slap down. Instead, they ignore it despite the protest from the captain. Just another really pathetic example of where rugby has lost the plot. Wow… this site was full of ‘the TMO has too much input and is ruining the game’ sentiment in the last two weeks following Ireland’s series victory… now the wind has changed direction?? A couple of observations Archie. Most people seem to criticise the uninvited interventions by the TMO, rather than wait on the central ref asking for a review. Secondly, the most annoying aspect of the TMo is the unnecessary and time wasting repetition of replays, in full speed, slo mo and super slo mo, before a decision is made. Most incidents are reasonably clear after one or two replays and that should be all that is required. On the last play yesterday, Rasta should have acceded to the request to review the incident and it would have confirmed a knock on, perhaps deliberate, by the Chiefs. 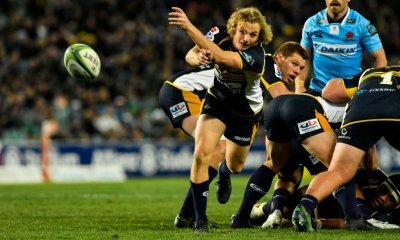 He erred and as a result the Brumbies were denied a fair and lawful opportunity to try to win the game. It’s not a question of bleating about the TMO but about the system for its use. Sure I hear what you’re saying. The Brumbies also knocked on at the base of a ruck leading up to their second try. Should the TMO have been used to deny that one? Probably, especially if there was an appeal to the ref by the Chiefs’ captain. Yep there certainly was, but the ref ignored him. At least he’s consistent I guess. Personally I was OK with that though as I don’t want us to get to a stage where we are checking non-foul play stuff with the TMO all the time slowing the game down (even when a try has been awarded, let alone when no try has even occurred). I thought the knock on was the tackled player placing the ball. Looked weird because he placed it forwards rather than backwards. Only saw it live though so could be wrong. It was a match deciding decision. Nice to get those ones right???? Admittedly the Brums screwed the pooch in the first half which put them in that position but playing poorly in the first half doesn’t mean you shouldn’t be afforded the a chance to win it at the death because of a bad decision. I’m not against the TMO concept. It’s the consistency of the use for me. There is absolutely none of it. Always intrigued by the seemingly bipolar nature of certain folks on this excellent website. Some days they contribute insightful, intelligent commentary on all things rugby. On other days they transform themselves into underwhelming individuals who bash anyone un-Australian. Sometimes you wonder would the real person stand up. They say though stuff written from the heart is often a better gauge than stuff written from the head. It is an Australian website dedicated to Australian rugby Richard. You know where you can get excellent Kiwi insight. Thank you for pointing that out Gun. I know I sound like a broken record, but at one point the penalty count was 12-2. Exactly how many times did the chiefs have to kill the play before a yellow for repeated infringements was given? Seriously? Thanks for the effort Sully. I switched off my first attempt at watching replay when the Donkeys bombed their 4th opportunity in the Canes red zone. Then this morning I switched on just in time to see the blatent yellow ignored once the Donkeys did score a try and then the clear yellow that should of gone on the Kiwi4 for the offside intercept also go unpunished. Switched off again at that point. I compare that to the ridiculous red I saw last night on the Pinger and the host of other idiotic cards and non-cards of the last month and I am really starting to think the lunatics have taken over the asylum. Well done Canes. Took your chances and won the raffle. We need to be smarter and we need to stop wasting chances. Waratahs demolish Sunwolves to secure top spot on the Australian conference.